Must have valid driver’s license and pass criminal background check. Performs general cleaning duties, such as empting trash, dusting, polishing woodwork and medal fixtures, and mopping, vacuuming, waxing, buffing, and stripping floors; cleans elevators and stairs as needed. Cleans bathrooms, water fountains, and kitchenette areas; wipes counter tops and tables and restock soap and paper supplies. Completes basic maintenance duties as needed, including changing light bulbs, sweeping outside walks, cleaning window inside and outside, washing walls, and blinds. Complete special spring and fall cleaning projects, as needed. Complete work orders and daily time sheets. Working knowledge of basic janitorial, custodial, and sanitation requirements for assigned areas of responsibility, with ability to effectively complete assigned duties and apply appropriate procedures accordingly. Knowledge of applicable safety practices and produces, with ability to take proper precautions and assure personal safety of self, co-workers, and County personnel and visitors. 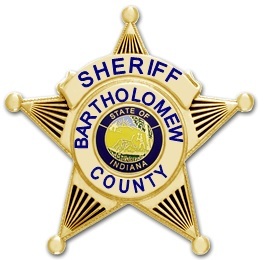 The Bartholomew County 911 Emergency Operations Center has a current opening for a Full-Time Emergency 911 Dispatcher. Emergency 911 Dispatchers are Public Safety Professionals with the primary assignment of performing work in the protection of life and property through emergency communications. • Answer incoming emergency telephone communication lines and acquire pertinent information for dispatching emergency response groups. • Dispatch appropriate police, fire, rescue and emergency medical response agencies to emergency situations. • Provide medical instructions (as needed) prior to the arrival of medical personnel. • Operate a Computer Aided Dispatch System (CAD). • Maintain the status of all police units, emergency response agencies and command personnel during emergency situations.